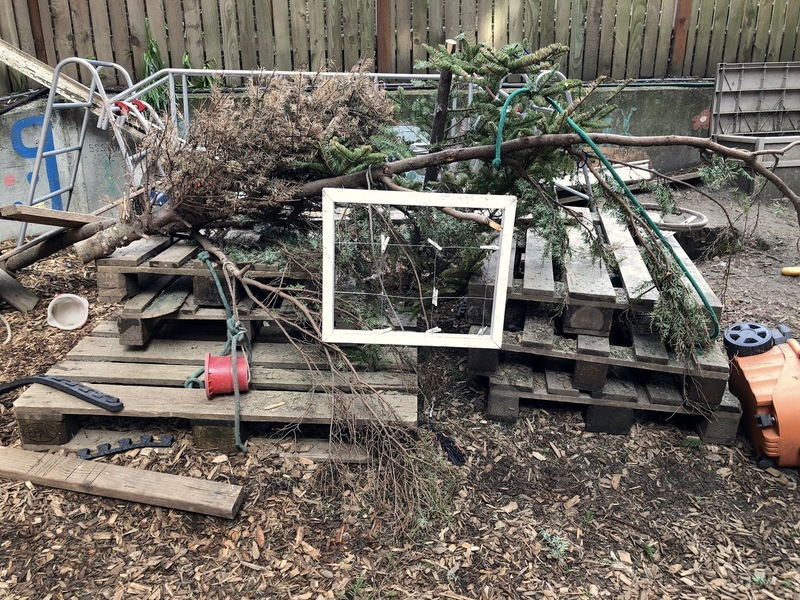 Recently, I received a long message out of the blue from a former Woodland Park Cooperative School parent. She had attended our school with her two children for several years, but for family reasons had been forced to withdraw. 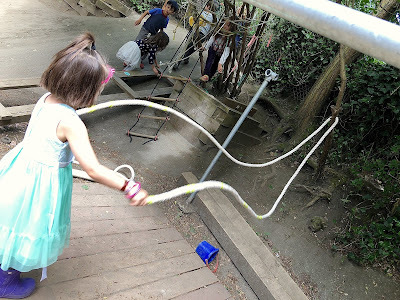 It was one of those missives that I hope all teachers get from time-to-time, one of heartfelt gratitude made especially poignant by the fact that it has been quite some time since I'd last seen her anywhere other than online. She filled me in on the kids, expressed regrets that they hadn't been able to finish up their time with us, and complimented me, telling me that her children, even some years removed from our program still spoke of their time with us, including their friends and me, but the thing they missed the most was our playground. 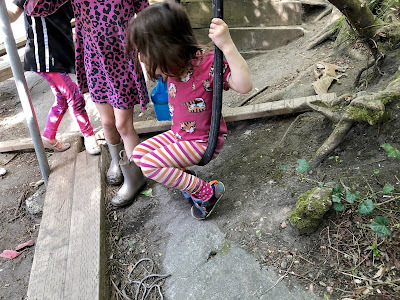 "They get bored on every other playground after about an hour, but the never got bored at Woodland Park even though they were there almost every day." 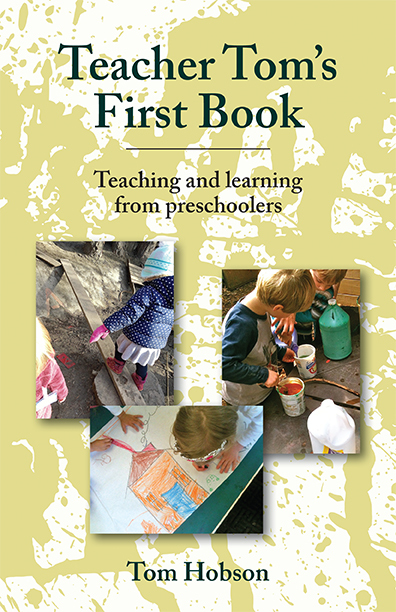 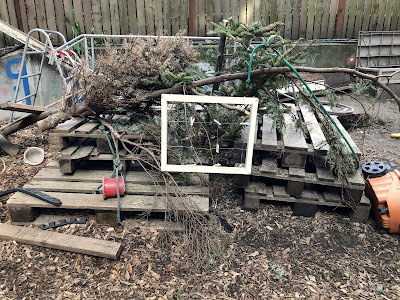 I write often about our junkyard playground, a canvas created and re-created by the parents for their children to paint upon. 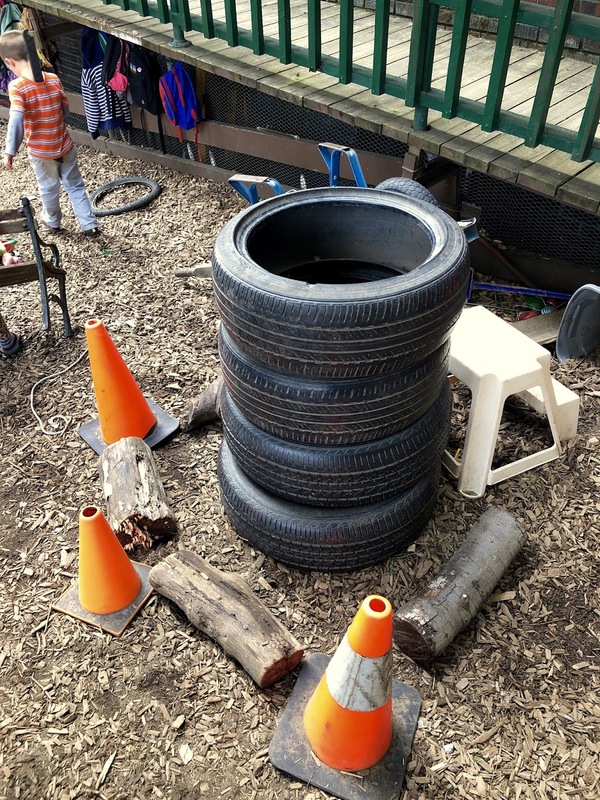 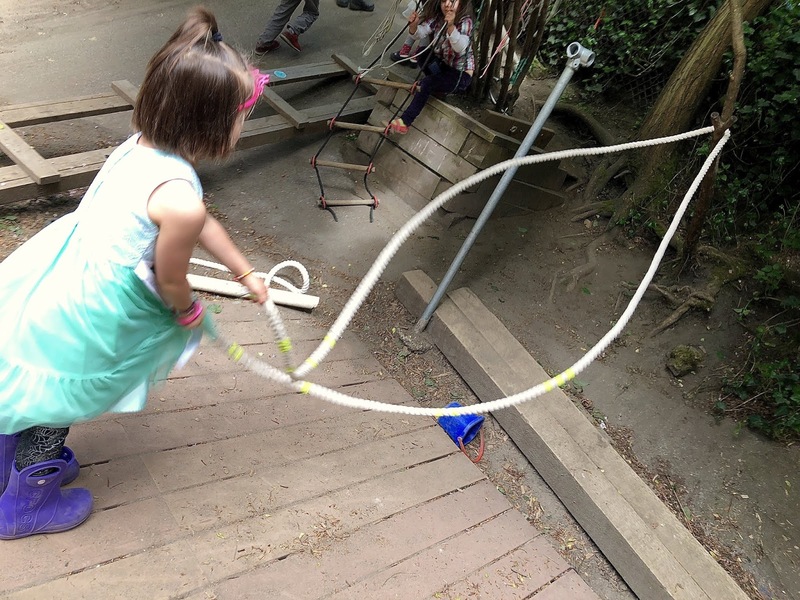 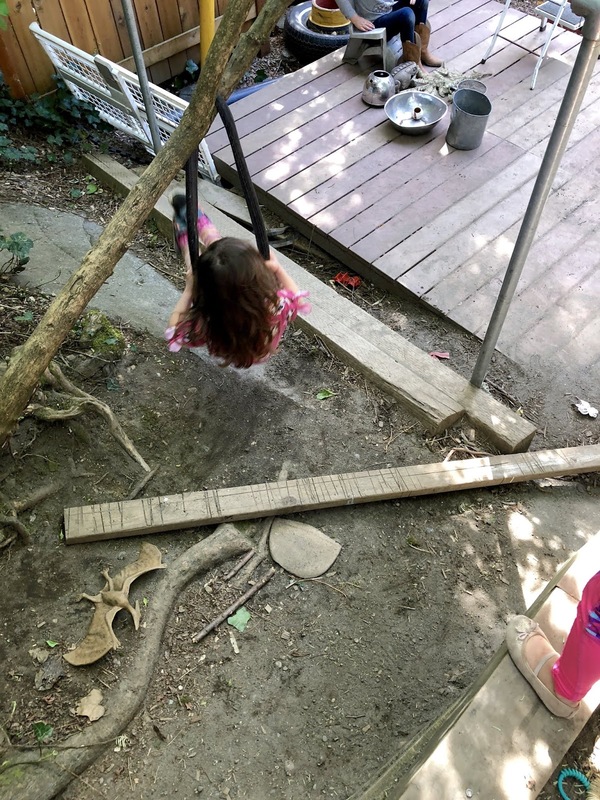 We don't have any fancy equipment: no climbers or slides or playhouses. 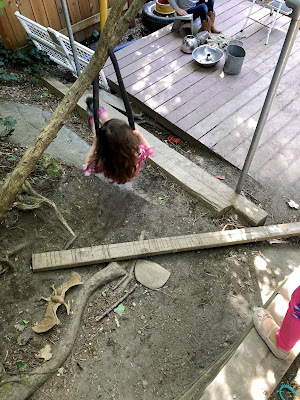 We do have an old set of swings with a trapeze bar, but other than that our space is very much like a vacant lot, full of shipping pallets, spare tires, planks of wood, ropes, and all manner of odds and ends, most of which are in some way "broken." We've obviously spent very little money, opting instead for accepting donations from the garages, attics and cellars of the families who enroll their children. 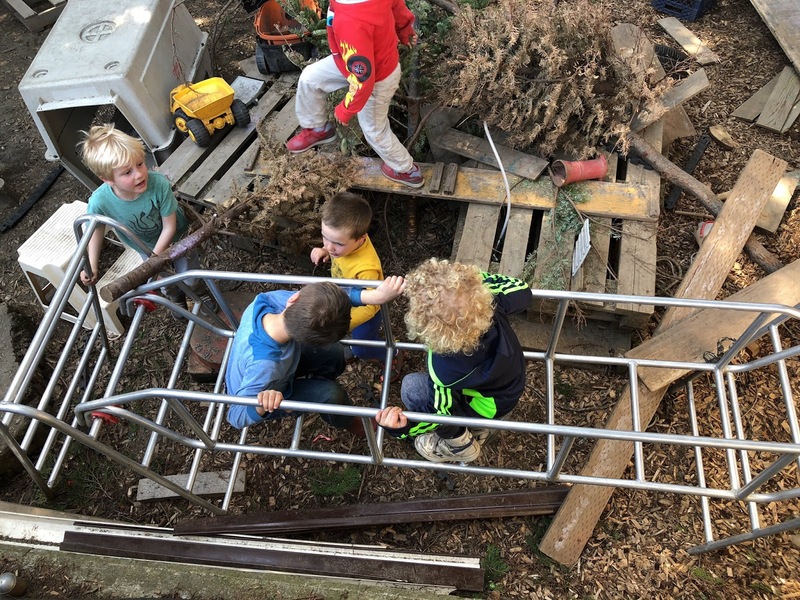 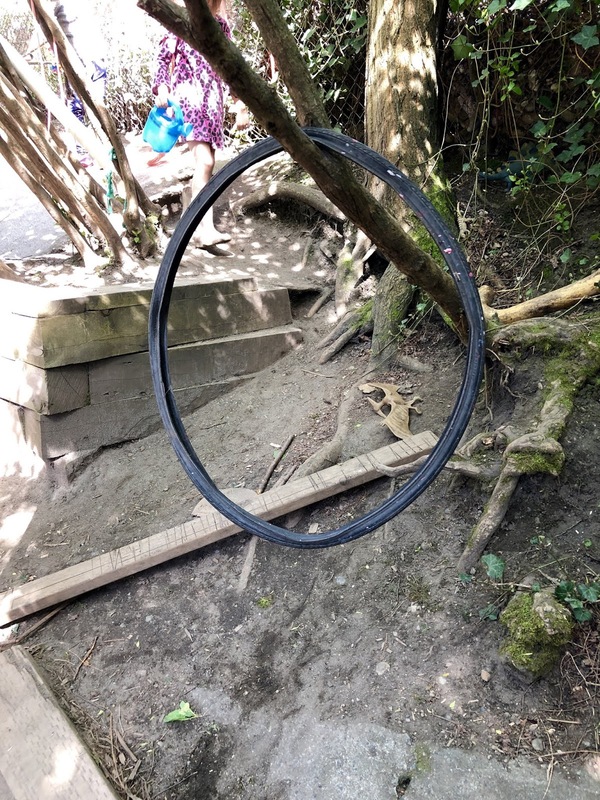 Few things are fixed in place and the children spend their days moving them around, building and re-building it to suit their needs for the moment. 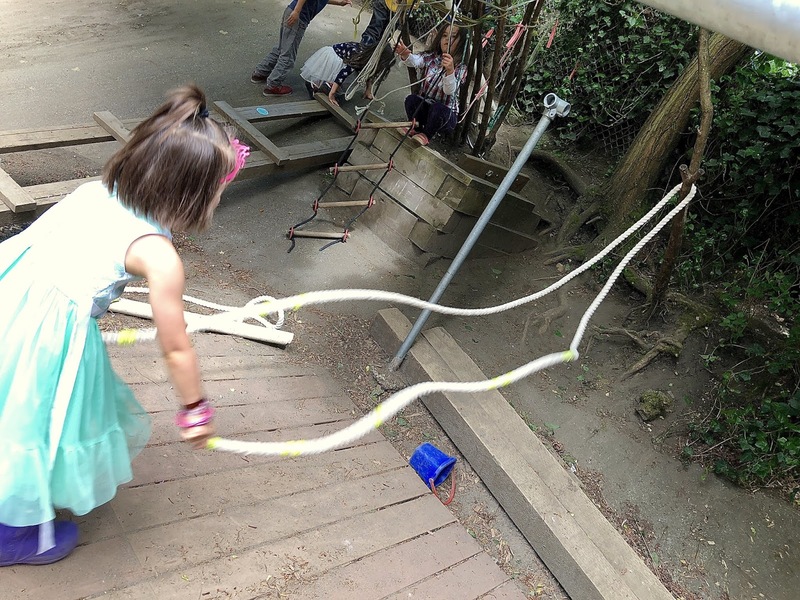 It's true that children rarely get bored on our playground. There is always something new, usually of their own creation. 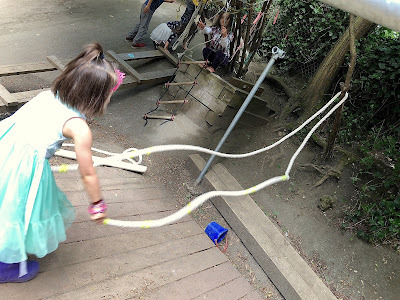 On a typical playground with everything locked in place it doesn't take long -- an hour, a day, a week, a month -- before they've played the challenge out of it, before it becomes commonplace, whereas our moveable playground stands ready at any moment to be transformed into something new full of new risks to take, games to play, and ideas just waiting to be hatched. Built on a slope with trees that grant us a steady supply of sticks and pinecones, a ground that produces rocks and plants and insects, and a community that continually re-supplies our collection of junk, we are blessed with a "state-of-the-art" facility, one that looks to the adult eye like nothing at all, but to a child like paradise.